A friend of mine and I started a reading group on Facebook where we commit to reading a New Testament letter consistently for 30 days. John MacArthur recommends this for anyone that wants to develop a stronger recall of Scripture and as other letters/books are read in the same manner, you will begin to see connections between passages also, i.e., the Gospel of John and 1, 2, 3 John. In the discussion thread of the group, I shared that the New King James Version uses the word bondservant in James 1:1, to describe his relationship to the Gospel of Jesus Christ and I briefly shared my thoughts there and post them here. This word in Greek is δοῦλος / doulos (doo'-los), which means a slave, either literally or figuratively; frequently therefore in a qualified sense of subjection or subserviency. James lived in complete slavery to the Gospel of Jesus Christ and made himself a servant to the Gospel. He wasn't captured physically and thrown into slavery. No, he was bound to serve God as a slave because of Christ's death on the cross. This made me look at myself and how much/little my life is a slave to the Gospel. I'm a slave to my academic work at seminary, but only for a short period of time, like an indentured servant. But eventually, I will become a slave to shepherding and pastoring a church and my life needs to be an example to others, as was James, Peter, John and of course, Jesus himself. 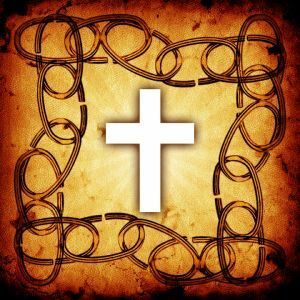 As a slave of Jesus Christ, how much have I been obedient to Him? How often has the thought of releasing myself from this bond of slavery come to my mind, thinking that I'd find greater freedom elsewhere until realizing that I never will. I am quite happy to be a slave for Christ. He is my Master, my King and my Savior. He deserves my life to serve Him, because He gave His life to save me. Not my will, but Yours O God, Your will be done, in my life. Slaves for Christ - John MacArthur from I'll Be Honest on Vimeo.